Hey, friends! 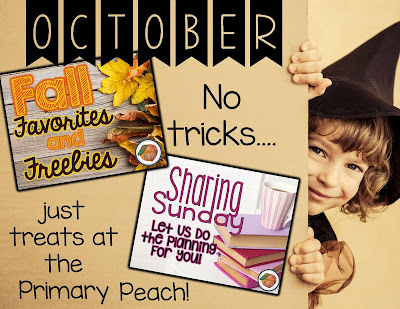 I hope everyone enjoyed taking a peek into the classrooms of all the Georgia Peaches in September. You must keep checking back with us in October, we have some awesome things planned! 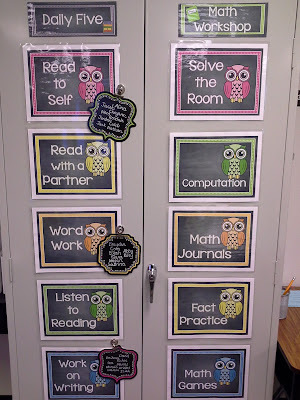 But I am here today from my blog A Primary Owl to show you how I differentiate during my Reading and Math Workshop time. 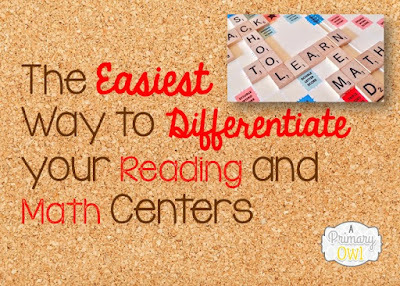 Hopefully you can get a few ideas to help with your Reading and Math Workshop rotations. 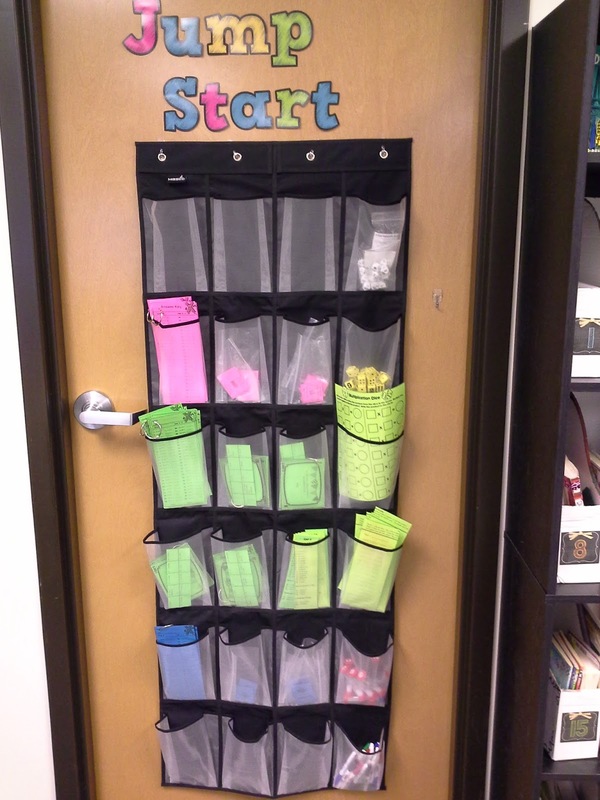 I move my groups up through the different stations. One thing I find that my students want is a choice to Read with a Partner OR Read to Self. So I put those two choices together. Then I make Word Work one choice. Then I have Writing and Listen to Reading together. Notice, one BIG thing....I am no where in this rotation. I realized I needed more flexibility to work with the students I needed to meet with. One day, I may conference with individuals on CAFE goals, some days I meet with Literature Circles. Either way, I don't mess up their rotations and being able to go to every center. 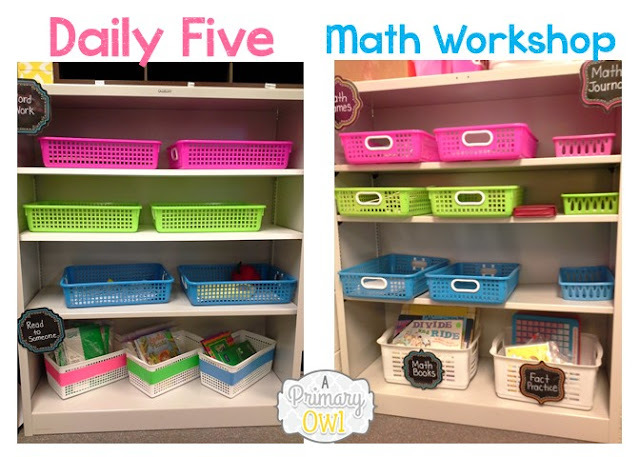 I do the same thing with my Math Workshop Centers. 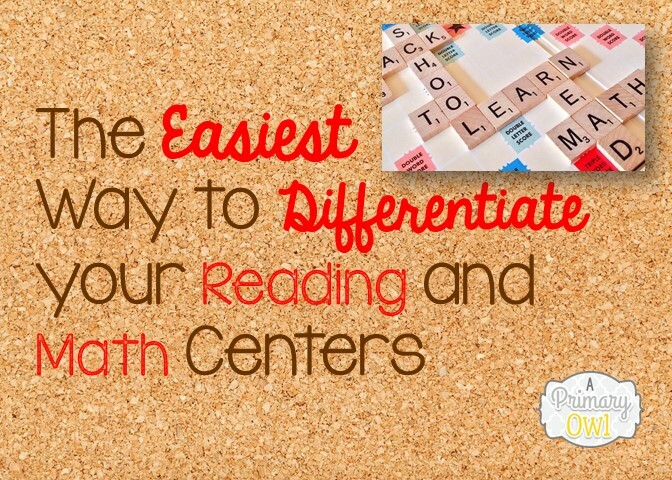 Now for the differentiation of my centers! So I differentiate all my activities by color, which really is not a new idea at all. 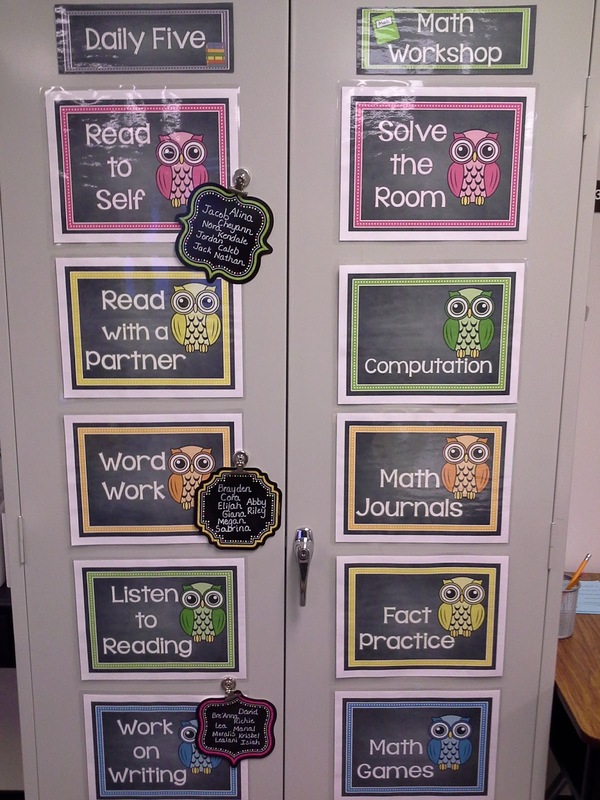 The thing that makes my centers unique is STUDENT CHOICE. All of students know that the pink will be the "easier" activity, green will be the "average" (or we say medium to make it kid friendly) and the blue is the "challenge" activity. Often I might say I need everyone to complete the green activity before making another choice. After that they can make choices in their own learning. I change out my activities as our skills change. I even have a Morning Work board called Jump Start. Students can choose a Jump Start activity after they finish their morning work and they are also color-coded in the same way. Don't forget to come back often in October.....you'll be so glad you did!